Feel the tingle of salty breezes on your skin and the drama of wide horizons where seabirds fly. 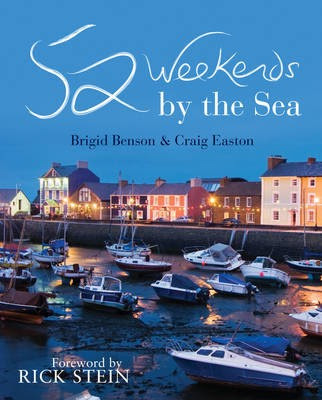 From the romance of sunset picnics in a Welsh landscape to the thrill of wild camping on a remote Scottish beach, from the flavors of the freshest seafood in Seahouses to the luxury of a hideaway hotel in Crinan, writer Brigid Benson and photographer Craig Easton along with map illustrator Michael A Hill have created 52 weekends that will inspire you. Share their secrets to create your own adventures and meet intriguing people in surprising places along the way. 52 Weekends is available in the New Year. - where will you be going? 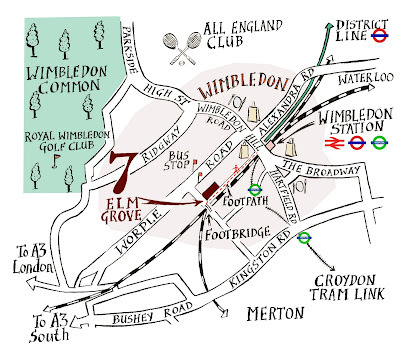 Maybe things in the property market are picking up a little at the moment (hopefully it will continue) as I was commissioned last week to produce a map to go with a property development in Wimbledon,London. The property developers, Harepath Developments have developed a commercial site at 7 Elm Grove, Wimbledon which is being let as office space. 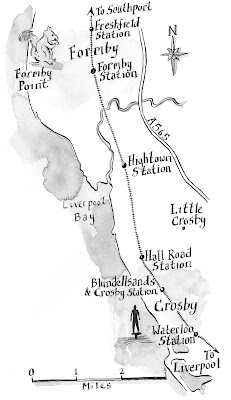 Hopefully clients will be able to find the location with my map.